40 Forever:Too short or too tall? Too short or too tall? 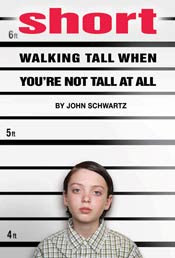 Walking Tall When You’re Not Tall at All. New York: Rb Flash Point, 2010.
judge the validity of scientific studies. the Giant. New York, N.Y.: Delacorte Press, 2002. This novel for upper elementary school audiences is about the friendship between a really, really tall girl and a boy with dwarfism. The story gets interesting when the boy meets an Amish girl who also has dwarfism. 1 comment to 40 Forever:Too short or too tall?